Al Alvarez's writing career has come in many guises. One of the most influential post-war critics, he has written profoundly and eloquently about writers and their craft for over fifty years. But Alvarez has also been a passionate amateur of risky pursuits - poker playing, mountaineering, flying in aeroplanes - and he has written about these subjects with a rare depth, liveliness and perception. This is a collection of his finest essays. 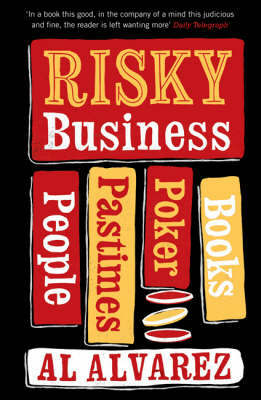 Ranging from trenchant literary criticism to accounts of polar expeditions and poker championships, "Risky Business" is a sparkling and eclectic anthology from our most unusual man of letters.